CSS High Concentration Diamond Paste is a high temperature resistant abrasive suitable for the demands of industry through to the home handy man. 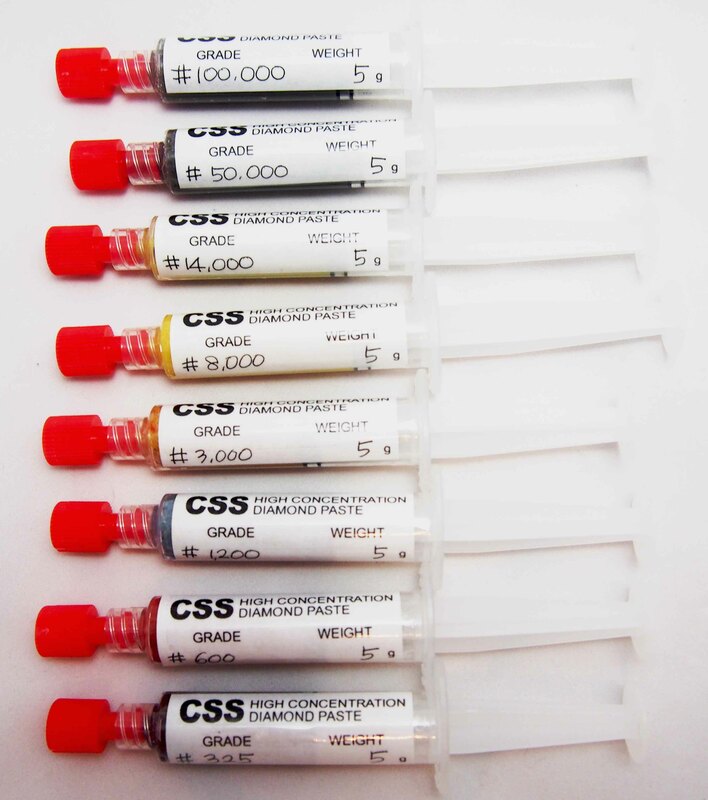 Packed in syringes for easy application CSS High Concentration Diamond Paste comes from a long established European industrial diamond abrasive manufacturer and is made to the highest standards. It is suitable for die polishing, thin sectioning, petro graphic work, gemstone polishing, chisel and knife sharpening, tooth polishing and faceting. The key to remember with any polish a little is best. Please contact our agent Flood Gem at k.l.willis@bigpond.com.